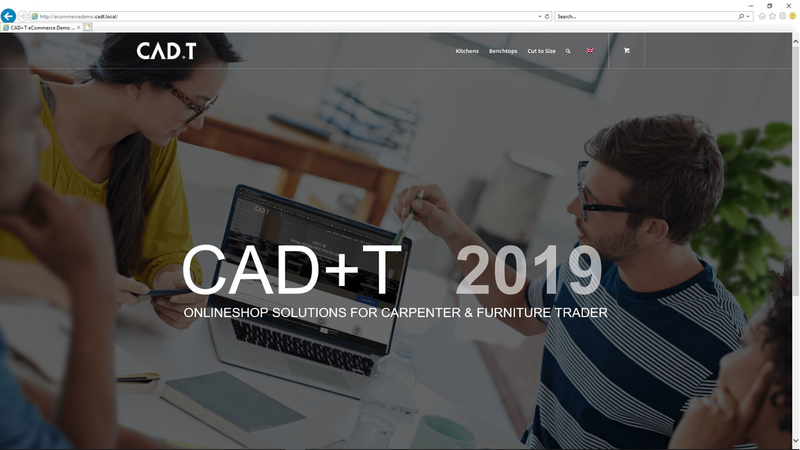 Brand new in the portfolio is the CAD+T Online shop, the perfect sales tool for your business. It allows you to expand your sales channel and use your online shop as an additional tool to win news customers. It is quite simple, and fully customizable from the product range to design. You can import your existing products with all the drawings and fittings, so you can reuse your existing data. The system can be directly connected to an ERP Solution which allows to order all the required material. Customers can configurate their cabinets quick and easy, select between different product types, front door colours and dimensions. Once the order has been placed, you can simply load these order details into the CAD+T Construction Engineer Module, create a part list and send the data right through the CAD+T CAM-Interface module to the machine you can save time and money.